What do The MTV Music Awards, The Oscars and The Academy Awards have in common? A beautiful red carpet walkway! But you don’t have to be a celebrity to experience the glamour of a red carpet entrance. You can rent authentic plush and thick red carpeting rolls from Casino Party Planners! Our carpets come in different sizes, can be used indoors or outdoors, and are made by the same company that makes the red carpet for Hollywood events. If you want to make your guests feel like movie stars, roll out a red carpet for them as they step into a special party atmosphere. 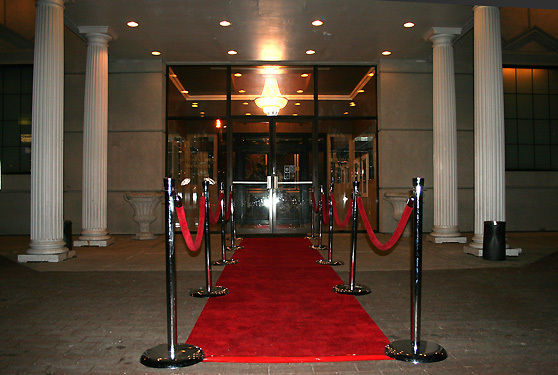 Also consider renting Stanchions with Red Velvet Rope to complete your magical entrance!